Let the "Brainerd Golf Around Experts" with our local knowledge and exceptional service, make it easy for you to book a tee time or golf package in Brainerd. Your Link to the Midwest's Greatest Golf & Lodging. All golf courses are located within a 45 minute drive of lodging! Here you can view golf courses and golf packages in the Brainerd Lakes, MN area. Then simply call one of our knowledgeable golf consultants at 888-843-9148 to build the golf package or business meeting that perfectly fits your needs. Voted one of the "Top 50 Golf Destinations of the World" by Golf Digest, enjoy world class golf (more than 300 holes), recreation and meeting facilities in beautiful central Minnesota. 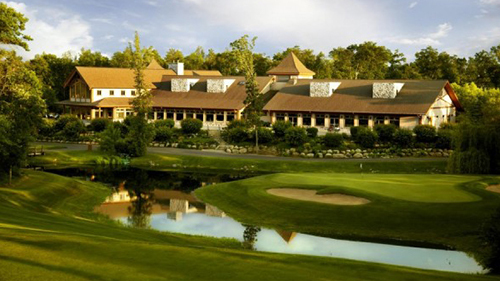 Enjoy 36 holes of championship golf in beautiful Brainerd, Minnesota at Legacy Courses at Craguns.